How To Get Over £500 Compensation, Without Fighting The Airlines Yourself… Even If It Was up to 6 Years Ago! Due to the size of the airport and the sheer amount of traffic it handles on a daily basis, flight delays at Heathrow are a common occurrence. In 2015, it was ranked joint second with Luton Airport in terms of frequency of delays. In both airports, flights were on schedule only 77% of the time. Have you been left waiting hours for your flight? What are the causes and reasons for my plane being cancelled or late? The bulk of the setbacks are caused by overcrowding and airlines missing estimated arrival times thereby hampering departure time for other passengers. The airport authorities are still in a wrangle with legislators on the need for a third runway to address this challenge but in the meantime, they have launched additional terminals where necessary to ease overcrowding and ensure faster passenger processing. Another common cause of flight stoppages at London Heathrow is adverse weather conditions. In January 2013, excess snow led to the delay or outright cancellation of 300 flights. With the current security climates, you should also expect security checks to push back flight times. What will I be doing to pass time while I’m waiting? Heathrow has the biggest duty free shopping zone in the world. This means you can go shopping for items you need and save a decent amount of money whilst winding down the clock. Additionally, there are lots of eateries, spas and game shops. A quick look around the terminal and you are sure to find something to keep you occupied. How long could I be waiting to board my flight? 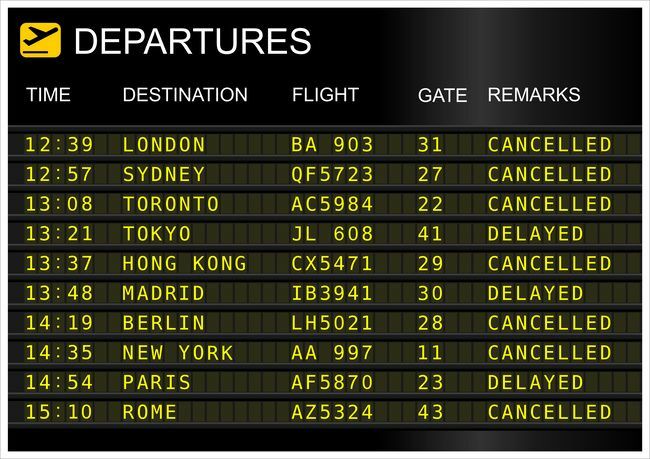 If your flight happens to be among the few that end up temporarily suspended on a near daily basis at London Heathrow, the first thing you need to monitor is the length of time and the cause of the delay. EU legislation ensures that you would be compensated if the lag exceeds 3 hours. The compensation applies if the cause of the wait is solely the fault of the airline operator. Therefore delays as a result of adverse weather or political unrest for example will generally not be compensated. The amount you will get in compensation will vary between £200 and £500 or so. You can claim compensation by contacting your lawyers to begin a back and forth correspondence, which could end up being quite expensive. While this has worked for some people in the past, your claims will most likely be neglected by the big airlines. The time consuming nature of the process is why many people are happy to use our services here at Airclaims.co.uk to get their flight compensation. We have years of experience in the process and we are well connected in the aviation world. No Airline can dismiss our petition. It is as a result of this that we have been able to secure positive closure for thousands of individuals. See How Much Compensation You Can Get! Submit your flight details to us and we will be able to notify you if you qualify for compensation. We don’t expect you to pay us until we have secured your ‘refund’! Established as a small airfield in 1929, London Heathrow Airport (LHR) has grown to become the biggest in Britain. During initial launch, the airport had only a single grass runway. No one would of thought it would of reached top spot for average total delays across all uk airports in the last year. During the Second World War, the government took over the airport to build an aerodrome. The aerodrome was never completed as the war ended shortly after the project began. The Air Ministry took over the airport in 1946. The airport was only named Heathrow in 1966 as it was known as London Airport. The first flight that took off from this prestigious Airport was to Buenos Aires. In its earlier days, the airport had only two terminals known as Europa and Oceania. Both terminals exist till date among the 5 current terminals but they are now known as Terminals 2 and 3 respectively. Heathrow is the world’s third busiest Airport, just behind Hartsfield-Jackson in Atlanta and Beijing International as 67m passengers are handled yearly. The two runways in Heathrow stretch for 4.7 miles combined. New York, Dublin, Paris, Amsterdam and Frankfurt are the top 5 international destinations for people travelling from Heathrow. At a maximum of £12.80 per passenger, Heathrow landing fees are some of the priciest in the world.